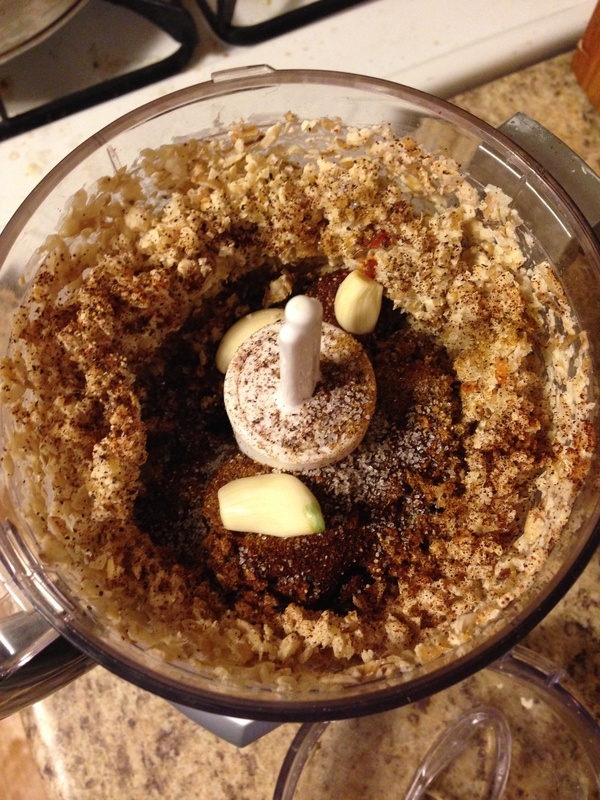 Throw all the ingredients into a mixer & grind them all together! I didn’t include measurements because you can really just eyeball everything – I would say a handful of walnuts would make enough to serve one and then all you need is 1-2 tablespoons tomato sauce and a pinch of each of the spices. You can add any spices your heart desires, or to make it easier, use a pre-blended taco spice packet. You can eat the mixture warm or cold, but I think it tastes better warmed up in the microwave. To make a ‘Waco’ salad (thats Walnut-taco = Waco, in case you were wondering) I grabbed a few handfuls of baby spinach, sliced half an avocado, some tomato and peppers AND THEN cilantro dressing, which brought the whole thing to-ge-ther! So. Good. And when I say you can actually feel your insides smiling when you eat this, I am not just trying to be obnoxious, I mean it! 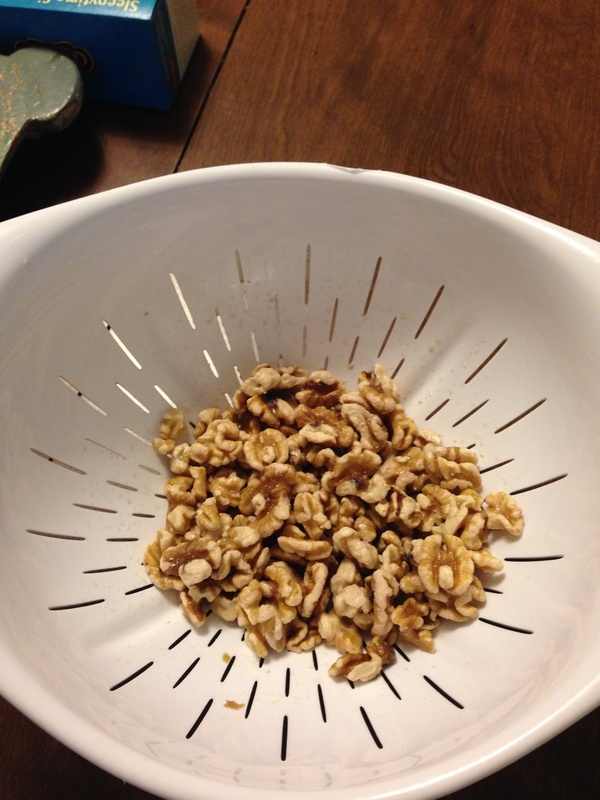 Walnuts resemble the human brain, and they actually are great for our brain functions! Avocados are all around amazing and I love them. They are great for maintaining a healthy heart and lowering cholesterol, they’re great for skin and make hair shiny! Once my cat ate some and her fur was literally the softest thing ever the next day. Also, on a weird note, I recently heard that avocados resemble the uterus… and eating avocados supposedly helps prevent birth defects, as well as providing a good source of folic acid. The more you know! Tomatoes resemble the human heart, as they are red, duh, and have four chambers on the inside. They benefit our hearts because of their lycopene, which can help reduce the risk of heart disease. Also, if you eat these WITH a healthy fat like avocado, it helps the lycopene absorb into your system better! Am I a nerd for getting excited about cool, weird food functions? 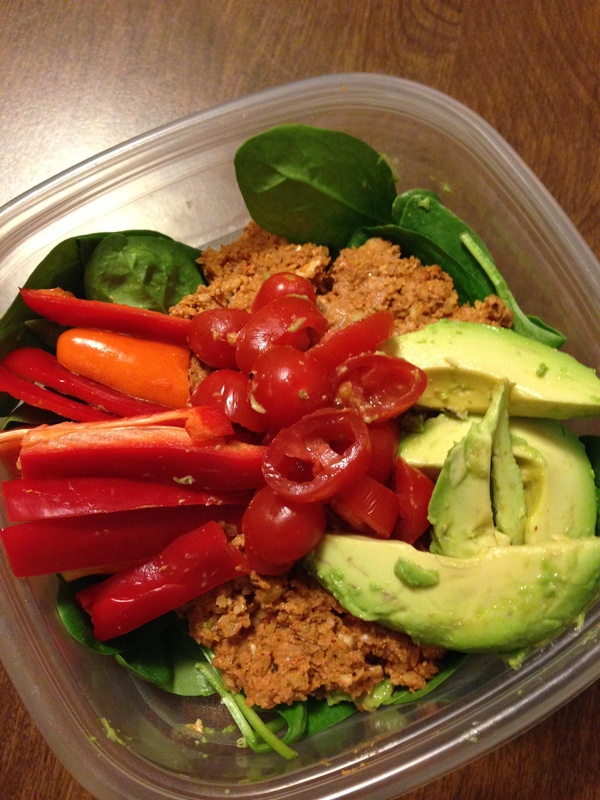 So, not only is this ‘Waco’ salad delicious, it is really good for you too! If you try this recipe, let me know your thoughts! ← How To: Refresh Your Beauty Routine! Congrats on getting into graduate school–such GREAT news! And nice you’ll be in New York for awhile again. And even though I don’t cook, I can appreciate your food photography; it’s beautiful–and you made me want to eat more avocados! Hope all’s well with you and Zach. I love your writing so much!!! !